Baby's dad's problem is to sell chamberpots to provide the soldiers with the comfort they deserve! But the very day M.Follavoine meets M.Chouilloux, from the ministry of war, coming to make the deal, Baby refuses to go to the toilet! So his mother Julie has got to give him a purgative. 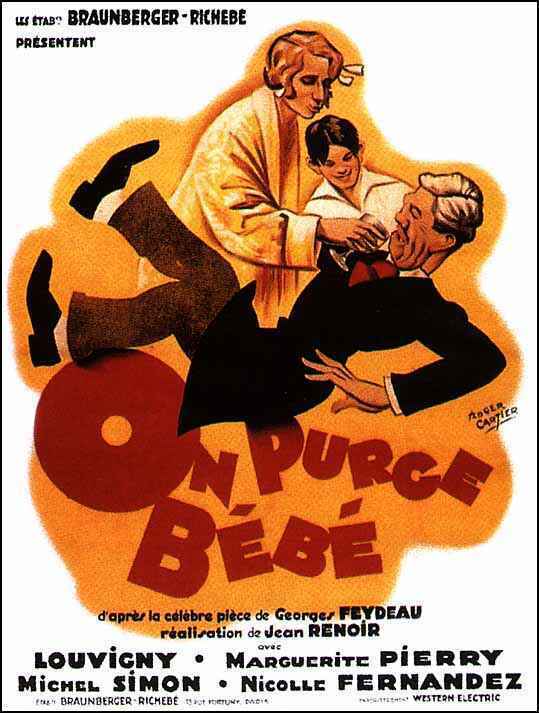 A mad mad mad story, involving a love triangle ,Follavoine throwing a chamberpot through the room to test its solidity, his wife trying to get his client to have a little purgative too (so baby will understand he must take some).